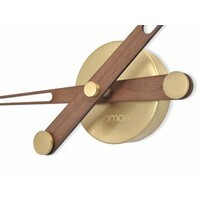 'Axioma N - Gold' wooden hands-only clock with a gold finish by Nomon. 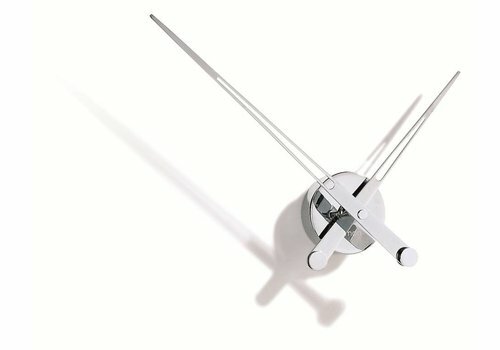 A unique piece for the home or office. 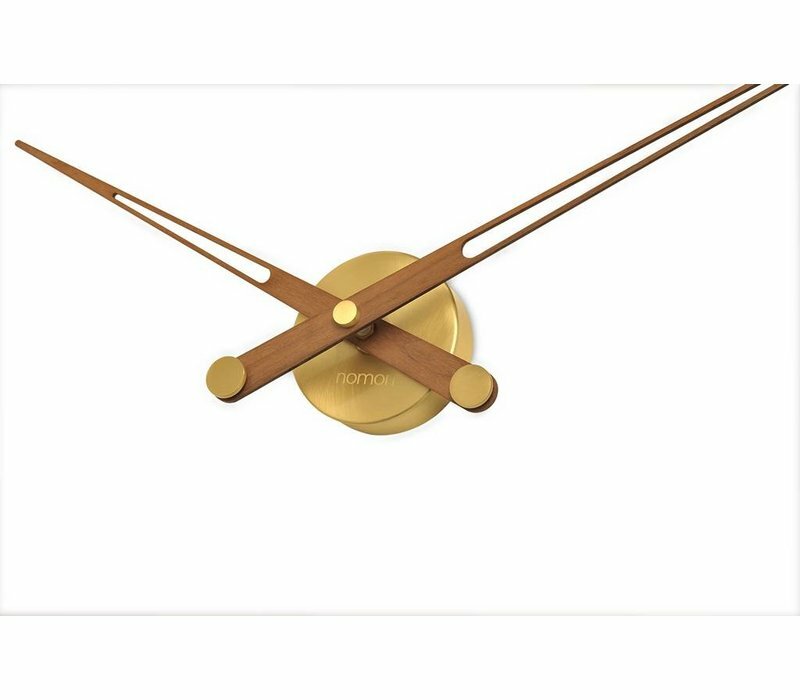 Axioma N - Gold, is a wooden hands-only clock made out of sustainable, American walnut wood (from controlled logging) and polished brass, with a Golden lacquer finish. Its perfect blend of natural wood tones and matt gold metal add instant glamour to any room. 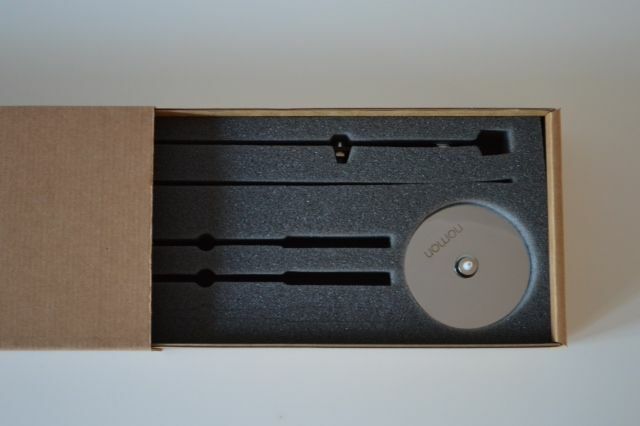 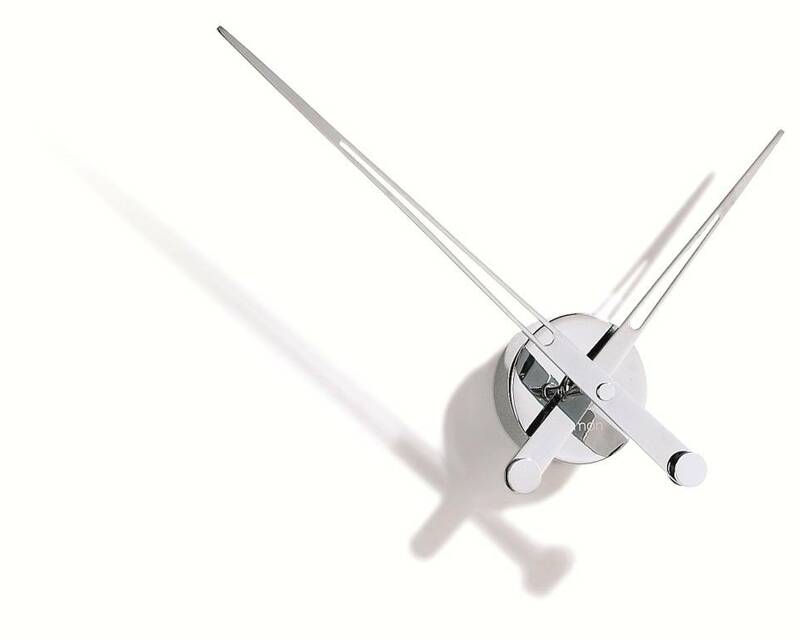 The German quality clock mechanism is quartz movement (UTS). 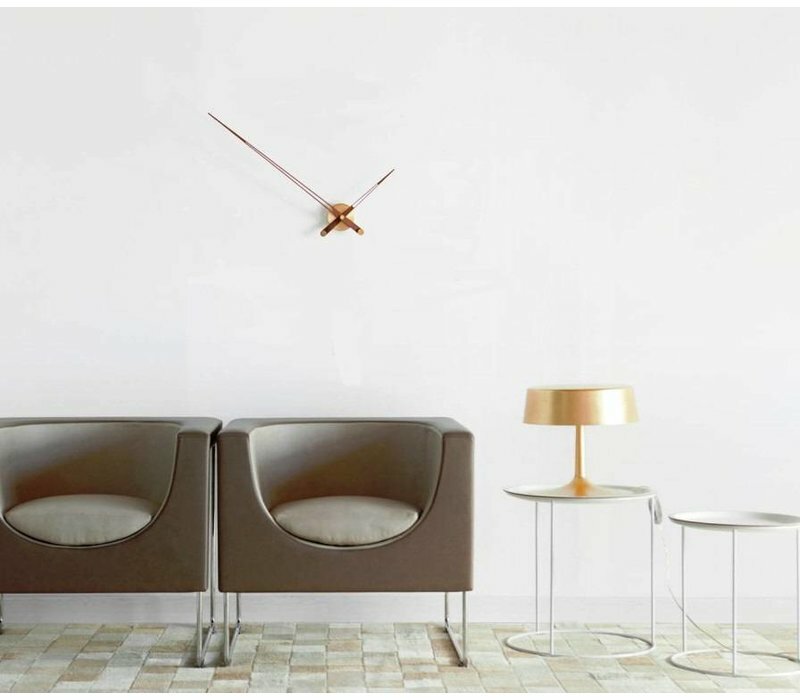 Choose from a natural (walnut) or dark wood (wengé) stain finish, and two sizes: 73cm or 105cm (XXL)! 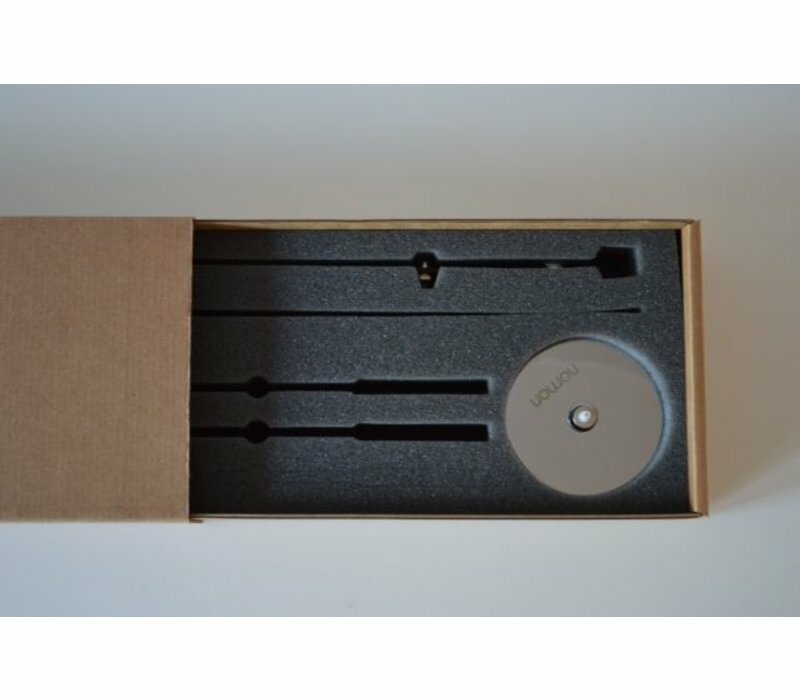 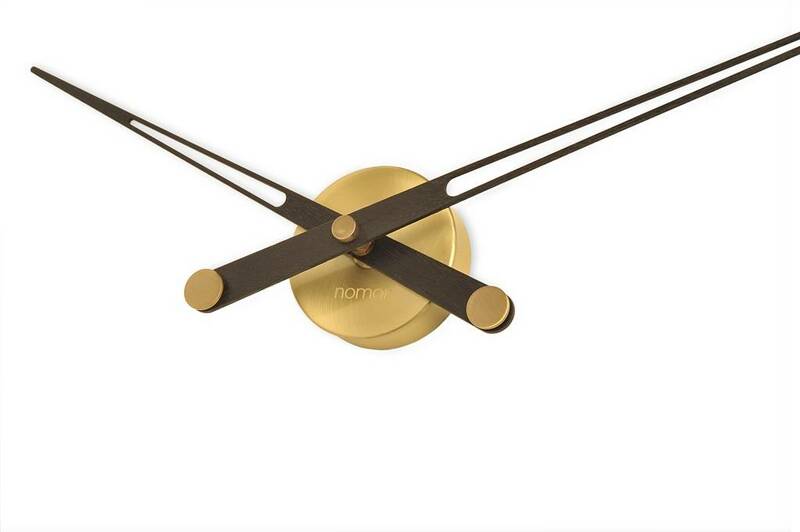 Axioma, hand-only clocks are the signature of Nomon's design, forming the heart of their design mission. 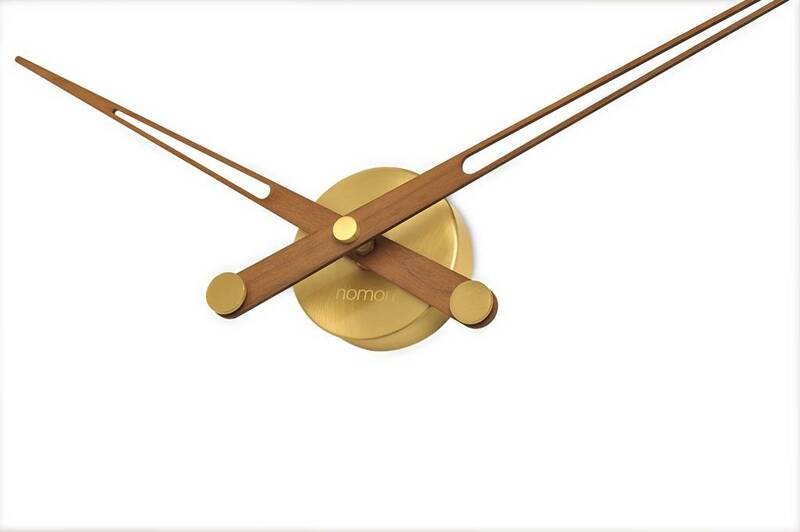 Barcelona-based Nomon is a leading manufacturer of designer clocks and watches. 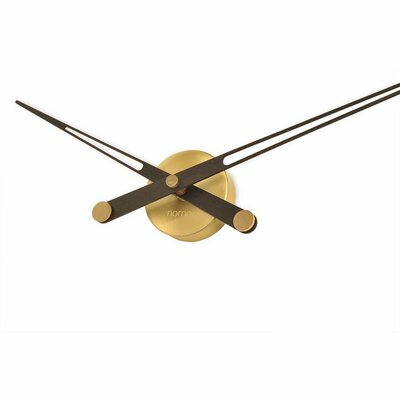 All their clocks are hand-crafted in Spain. 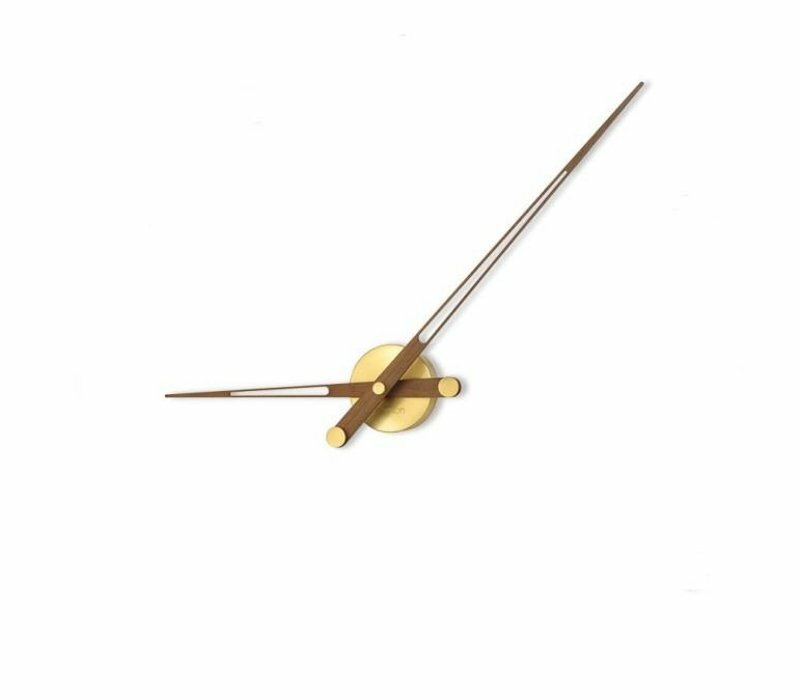 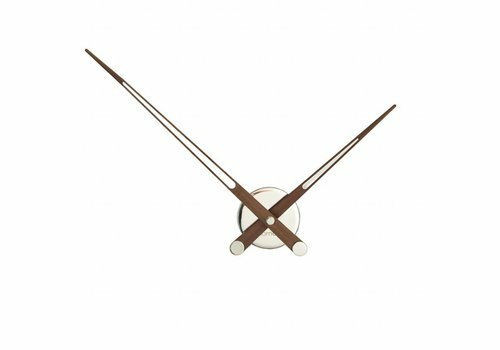 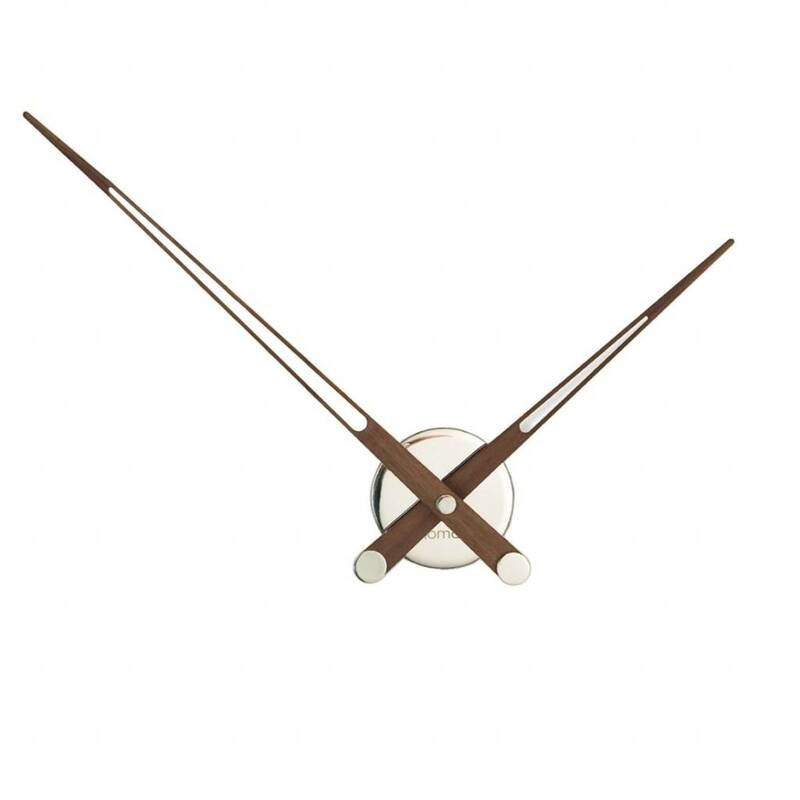 José María Reina, the designer behind Axioma, was inspired by the simple movement of clock hands, and captured the fluid movement in a deisgn without frame or number interference. 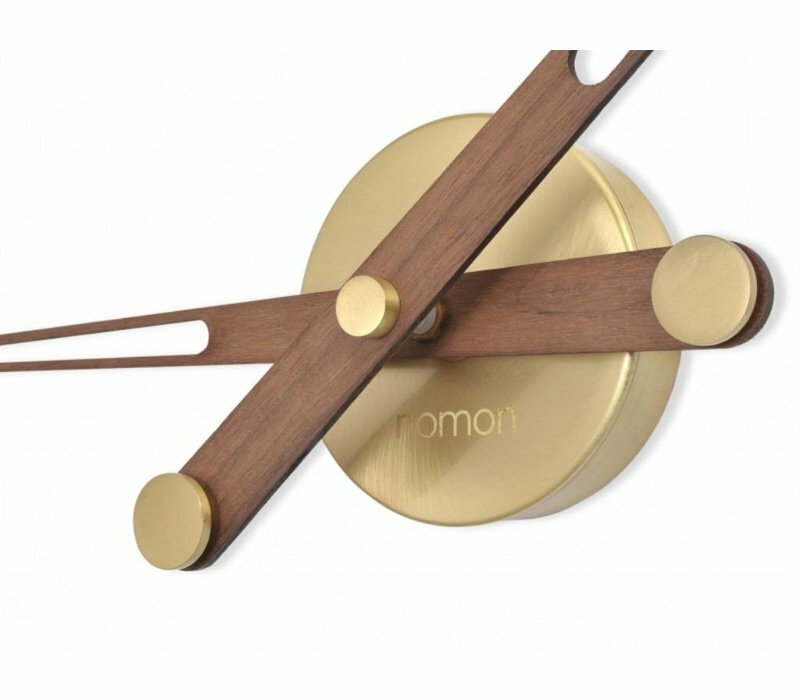 Axioma is the ultimate hands-only wooden design clock. 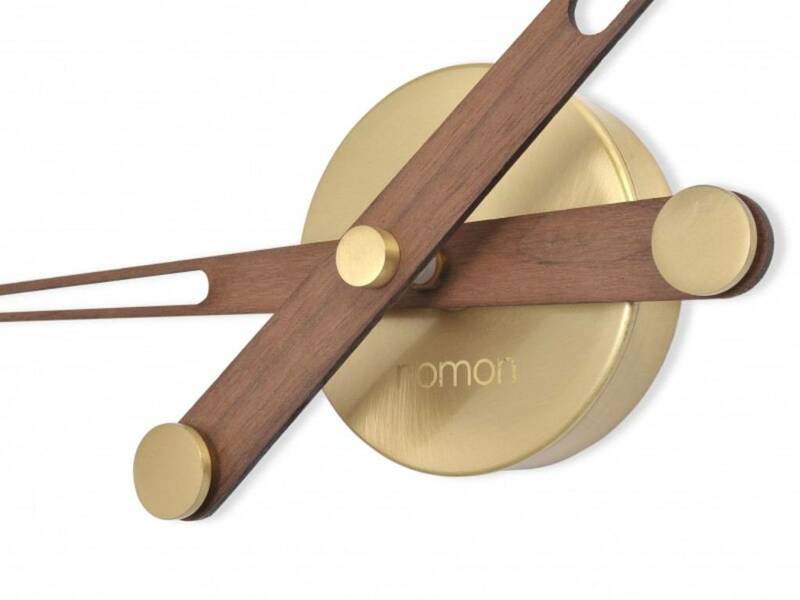 With its impressive 73 cm diameter, Axioma transforms any wall in your home to a testament of good taste! 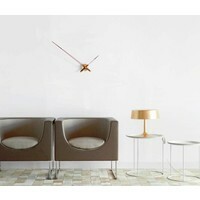 Directly available from our stock. 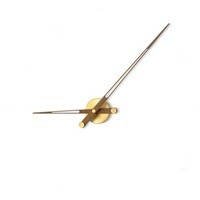 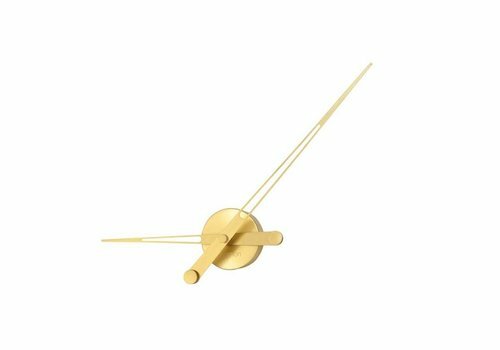 'Axioma Gold' hands-only golden design clock, by spanish designer José María Reina. Add a touch of golden elegance to your home with Axioma Gold!